On the first and third Thursday of the month, movers from across North America participate in a discussion on Twitter, called MoveChat, where stories, tips and advice are shared. Every week, we discuss a specific part of the moving process. This week the topic was, “Do It Yourself Moving” and what follows is an edited transcript of the discussion. To view the full discussion, simply log into Twitter and follow the hashtag #movechat. Q1. How does a customer decide if DIY Moving is an option for them? movingpro I think it boils down to how much responsibility they want to take on themselves. Andrews_Moving Also, do they have any large and/or expensive items such as a piano or large artwork or antiques? Q2. What can someone do to make the DIY Move easier and more manageable? movingpro Knowledge is power! Knowing how to pack, having a schedule, etc. PortageCartage Get educated on best practices for packing boxes & loading the truck. Plan out every phase of the move. 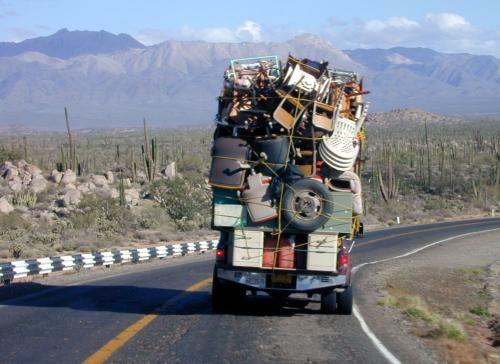 PortageCartage @jkmoving Great point – downsizing can make a huge difference in how complicated your move it. HAuston plan ahead. Perhaps a packing party. HAuston Have plenty of help and snacks! jkmoving Understand that it’s going to take you longer to pack than you think. Give yourself time. Q3. Any other final tips or suggestions for DIY Moving? HAuston Check and recheck schedules, reservations and supplies. movingpro Stay hydrated! Oh, and know how to move in certain weather (like extreme heat, rain, snow, etc.). jkmoving Use resources online and learn how to pack and wrap.